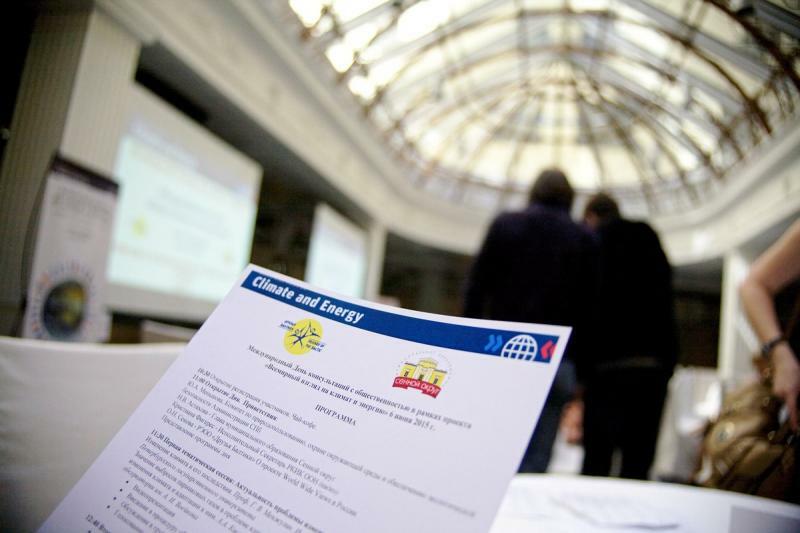 On June 6, public consultations with the world’s citizens took place all over the world. They were focused on the topic of climate and energy and were part of the global World Wide Views on Climate and Energy, that unfolded in the run-up to the next round of UN climate talks in Paris later this year. A total of 104 such events took place on the very same day in 79 countries – ‘from dawn in Fiji till dusk in Arizona’. 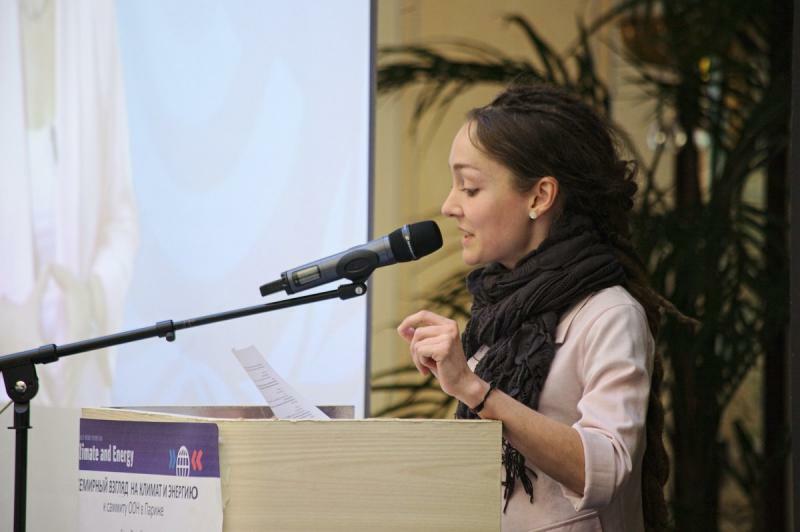 The city of St. Petersburg was the only place in Russia where consultations were held. Scientist leave us no doubt that our climate is changing, and its effects are increasing in magnitude with every year, touching upon all countries and every person on earth. Those are ever more frequent natural disasters, such as hurricanes, floods, droughts, forest fires, as well as the melting of mountain glaciers and the Arctic ice, along with other seemingly unnoticeable changes that affect harvests and water availability, transport and housing infrastructure and finally, human health. The reports of the Intergovernmental Panel on Climate Change (IPCC) say that the probability that human activity, especially burning of fossil fuels, contributes significantly to climate change, is very high. Thus, we need for all countries, as well as all people, to join their efforts to adapt to climate change effects and to reduce our impact on the climate. The annual international talks within the UNFCCC framework are dedicated to finding solutions to this. In 2015, these talks will take place in Paris, where a new global climate agreement is to be adopted. It will deal with both joint and individual actions of the countries. 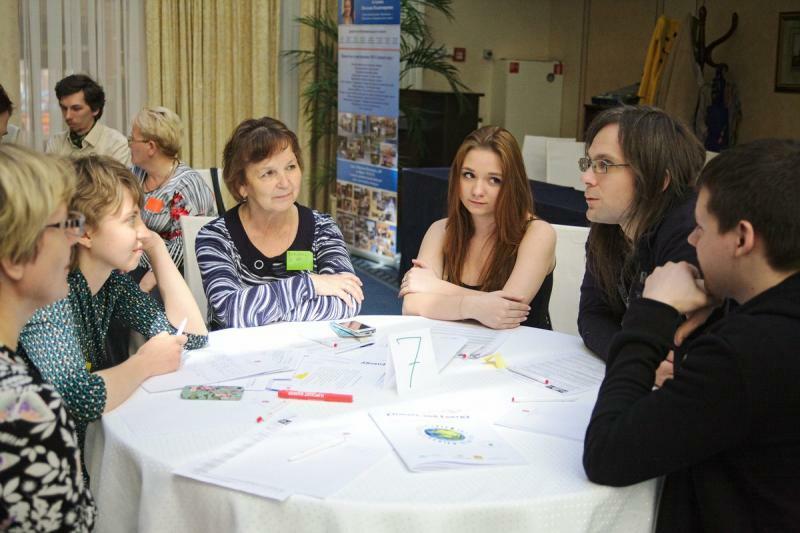 Public consultations help make the voices of citizens of different countries be heard at the climate talks. They show the expectations people have from the new global climate agreement and future climate actions by countries. In St. Petersburg, as well as in other cities and countries, around 100 people gathered – representing all ages, occupations and social groups. 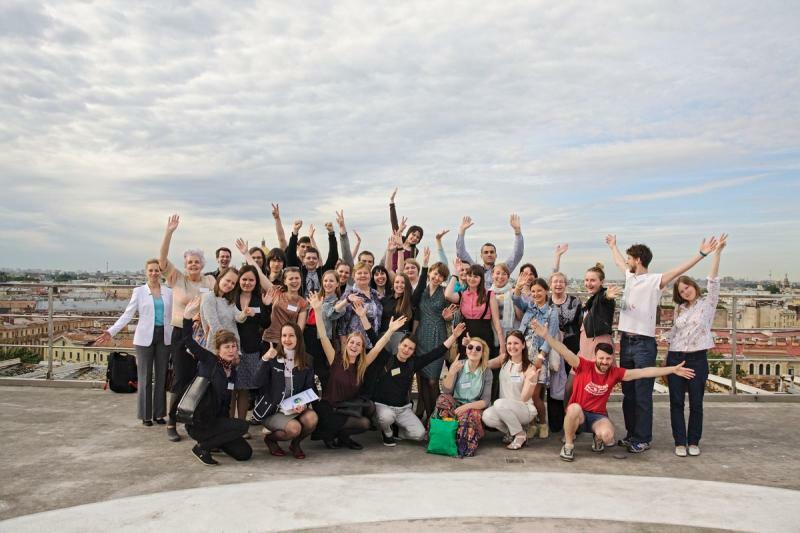 During the day, they received unbiased up-to date information on climate, discussed those issues in groups, shared their ideas on the subject, as well as expectations from the new international agreement and their wishes for negotiators who are going to make decisions in Paris in December 2015. Out of all the Russian participants, almost a half (48%) is highly concerned about climate change. This is almost 50% less than the world average. The majority believes that climate action is most likely to improve our quality of life, and there is a need for both adaptation and mitigation (reducing GHG emissions). Adaptation to climate change effects is going to be one of the hot topics during the Paris negotiations. In addition, it is important if the responsibilities between the countries are shared in a fair manner. Some suffer more, while their emissions are smaller than those of the others who emit more CO2, but are less damaged by climate change effects. 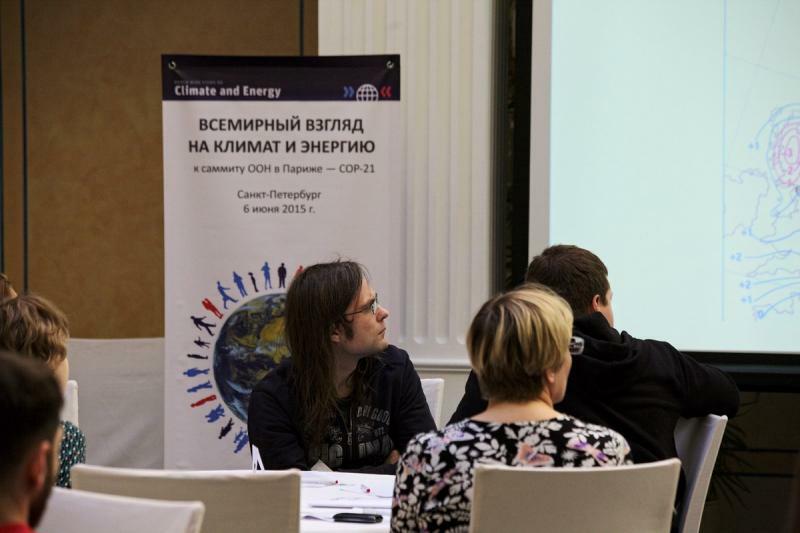 Russian participants are not very concerned about the climate change effects. 12.5% believe that climate actions will lower their way of life, while 57.5% think that adaptation measures will improve it. 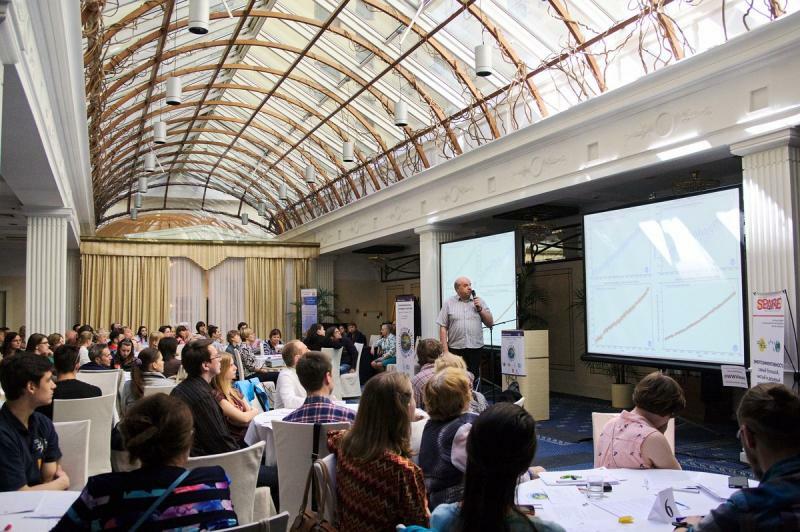 St. Petersburg is the first city in Russia that is developing its adaptation strategy. According to Julia Menshova of the City Committee for nature Use, Environmental protection and Ecological safety, public will be involved into the development of the climate strategy. 55% of participants said that the outcomes of UN climate negotiations since 1992 have not been enough to tackle the issue. 52.5% say that the decisions of the Paris talks must ensure that global warming is held within the 2-degree limit. However, 38% say that climate action should not be undertaken ‘at any rate’, meaning, not if it costs too much to implement. 57.5% say that tackling climate change is a global responsibility, while 48.5% say that it is the countries’ responsibility as well. 28% say that businesses, NGOs and public should contribute, too. 59.96 % of the respondents support the need for research and development in the field of low-carbon technologies, for example, research in the field of energy efficient car engines. Around 40% support the implementation of carbon taxes. Almost 38% think that subsidies into renewable energy have to increase. Although only under 9% say that we need to stop subsidizing fossil-based energy. Over 40% Russian say that we need to keep on increasing the extraction of fossil fuels. This is the biggest contrast to the world average, as around 45% of all the WWViews participants say that we gradually need to refuse to use all types of fossils. Before the event, 30% of Russian participants knew nothing of the international climate negotiations process, and 30% knew a little bit. By the end of the consultations, 50% considered themselves well-informed – and over 81% said it was necessary to develop measures of formal and informal education on these issues. Over 65% think that we need globally adopted and implemented decisions to fight climate change effectively. Around 55% say that the new climate agreement has to be legally binding for all countries, and over 92% think that countries should review their commitments every 5 years. 62% saw that climate action did not constitute a priority for our country, yet must be such. 80% say that our country should undertake climate actions, even if other countries do nothing in this respect. Carbon emissions reduction is Russia’s national priority. There is a Presidential Decree on emissions reduction by 2020 by 75% from the 1990 level. This means implementation of energy efficiency measures in all areas of life, such as industry, housing, transport, as well as renewable energy development. Participation in public consultations showed to the people that everyone could play their little role in fighting climate change by decreasing their own contribution to GHG emissions. This can be done by increasing energy efficiency in their household, by choosing ecofriendly transportation, choosing to purchase goods and services with a lower ecological footprint. The whole idea of the negotiation process is that if humanity has even a little chance to slow down climate change, it would be foolish not to use it, since climate change effects are already catastrophic in some places, and are even going to increase in the future. Our obligation to our descendants is to take every possible step to reduce our carbon emissions. It can be beneficial for our country, and we have many untapped possibilities to make it this way.